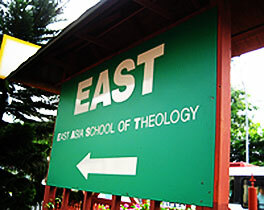 EAST is located on 1 Dorset Road, Singapore 219486. The school is within the campus of Parish of Christ Church. EAST’s main administrative building consists of four storeys. The first storey has two classrooms. On the second storey are the administrative offices, a meeting room, faculty offices and the Chapel which also functions as two classrooms. The third storey houses a classroom, the admissions as well as several faculty offices. 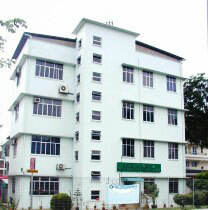 The fourth storey has the IT Office, additional faculty offices and workstations. There are additional offices and a conference room in the Joseph Wing besides housing the office of our president. Students are initially introduced to the library during the Research and Writing for Christian Leadership course which is part of EAST Aleph. The library is fully air conditioned, computerised with wireless router and LAN cables for students to access the internet using their personal notebooks and includes study space for 38 people, the library collection, small-group study rooms and a photocopier. The library collection includes 15,755 books, 39 journal subscriptions, plus non-print materials (about 59 titles as of December, 2016). Access to additional printed and online resources is available through the National Library. Singaporean students have free access to the extensive databases and digital resources available at the National Library. International students must join and pay an annual fee if they wish to use this. As part of EAST Aleph, the EAST librarian introduces students to research resources at the National Library. The Agape Room is located on the third storey of the main administrative building. Students come to the Agape Room to relax, chat, eat, or study. Snacks and beverage packets are provided by the Student Council for students’ consumption. A refrigerator and a microwave are available for students’ use. In the hallway nearby is a hot and cold water dispenser. The Prayer Room is located in the Joseph Wing. The room is designed for individuals and small group prayer. The room is available to members of the EAST community during regular office hours. The Administrative Office is open from 9:00 am to 5:00 pm, Monday to Friday. More information about EAST facilities are found in the “General Information” section of the Prospectus.